County zoning rules originally called for a minimum 1,000-foot setback from residences, but according to Commissioner Francis Hass, the commission didn’t do enough homework before allowing a 2,000-foot minimum setback for the 11-tower Oak Tree Project built four miles north of the Clark a few years ago. 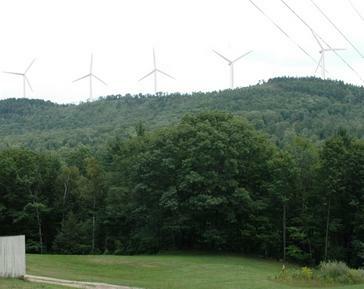 Meanwhile, the state PUC continued its consideration of state permitting for the 200-turbine wind farm. A September hearing attracted both farmers eager to host turbines and local residents opposed to the project. A decision was expected in late January 2018, but in October, the PUC denied the application, saying that Geronimo’s plans were still too much in flux to proceed with the approval process, which by state law must be concluded within six months. 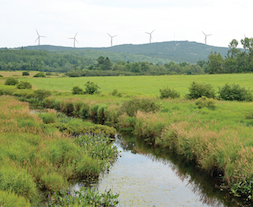 The uncertainty was mostly related to negotiations with US Fish and Wildlife over land swaps and environmental impact assessments for about 40 of the turbine locations, leading to the submission of four different possible turbine configuration plans. However, the quicker than expected decision was triggered by an intervention request by opponents of the wind farm, which noted that the Clark County half-mile setback would necessitate the relocation of 35 further turbines. Geronimo is free to resubmit its application once the turbine layout is finalized. More restrictive noise limits on industrial wind turbines are one key step closer to implementation in Vermont. In May, the Public Service Board proposed that the current 45dB limit be reduced to 42dB during the day and 39dB at night, along with a setback requirement of 10x the turbine height (4000-5000ft for modern turbines). A legislative committee has been reviewing the proposal to assure it complies with the “legislative intent” behind the bill that called for revised standards, and this month that committee dropped the setback requirement, then in its next meeting accepted the noise limits. A key element in the legislative intent was to encourage continued expansion of renewable energy in Vermont. The PSB was charged with crafting a policy to balance this goal with concerns that the previous siting standards were leading to noise complaints and health concerns. Residents near three wind projects have filed complaints that the 45dB limit has been exceeded, and/or that it did not achieve its stated aim of keeping noise inside homes below 30dB. Sound studies carried out after these complaints have found noise levels a few decibels over the targets, at times; in addition, there is much debate over exactly how much outside noise is reduced as it enters the house. 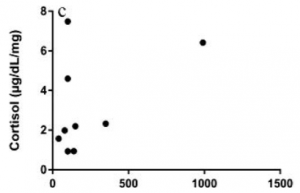 It appears that the 6dB reduction in nighttime noise levels is likely to resolve many or most of these potential problems. While lower sound limits will surely help reduce the extent of complaints, noise violations are complex to enforce; this is why setback limits are often used as a way to achieve similar aims. The challenge there is that setbacks don’t account for situations (topography and wind direction) that can reduce noise levels, so they can be overly restrictive. 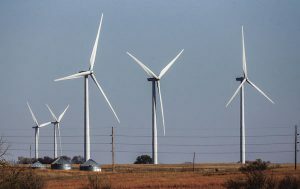 The PSB aimed to counter this concern by incorporating a process whereby the setback requirements could be reduced if the wind company showed they could do so without exceeding the noise standards. But the legislative oversight committee rejected this approach, opting to rely solely on noise limits. 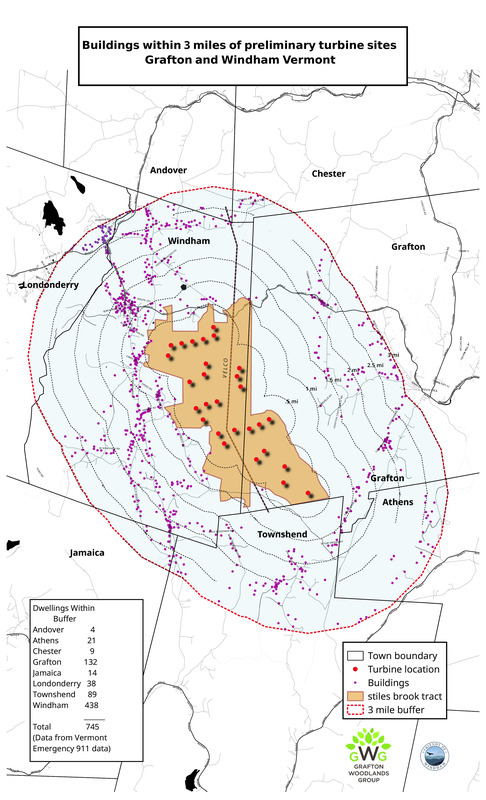 To explore the recent history of rulemaking and noise issues in Vermont, see this collection of earlier AEInews coverage. 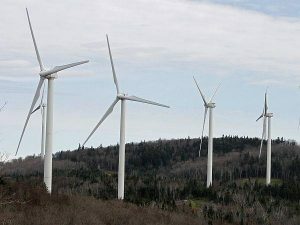 Vermont’s Public Service Board has released a draft of new rules for wind turbine siting which embraces a happy medium approach that should minimize adverse effects from noise, while providing wind developers the option of negotiating participation agreements with neighbors who are willing to live closer to turbines than the rules would stipulate. Current Vermont wind projects are required to keep noise at non-participating homes lower than 45dB outside and 30dB inside; this inside/outside distinction has become a primary bone of contention (especially in summer with open windows), and some sound monitoring has found occasional periods in which noise was slightly above the limits. 45dB is a widely-used noise limit, though it’s also a level at which noise can be quite prominent and disruptive at times. Recent policy changes by the UK government have spurred the developers of the Nocton Fen wind farm to pull the plug on their project. 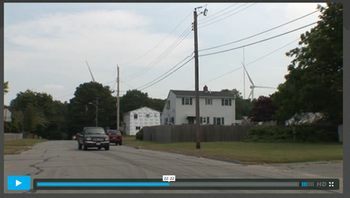 The new government policy accelerated a planned end to wind farm subsidies, setting an end date of April 2016, and added a requirement that all wind projects receive approval by nearby residents via a local or neighborhood plan. Graham Davey, Vattenfall’s Project Manager for the Nocton Fen Wind Energy Project, said: “It’s obviously disappointing to stop development of Nocton Fen as it would have delivered significant benefit locally and generated affordable, clean and renewable energy for tens of thousands of homes every year. 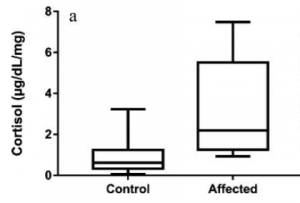 “It was clear that proposed changes to onshore wind planning in England introduced increased risk in the process. Stopping the scheme now is a sensible decision. There are currently 250 wind farm proposals, totaling 2500 turbines, that may be similarly affected by the policy changes; time will tell whether the UK’s on-shore wind industry grinds to a halt, or adapts and finds a way forward. 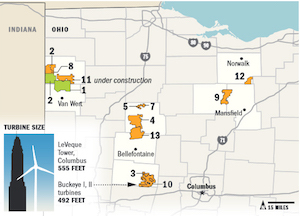 It’s unclear from recent reports whether the loss of subsidies is deal-killer for wind developers, or whether some projects may be viable without subsidies, if they are far enough from neighbors to gain local support. After nearly five years of floating offshore wind farm planning off the coast of Maine, a project in Oregon may leapfrog those efforts. An initial go-ahead from federal ocean regulators marks the starting line for a pilot project off Coos Bay, which will need to clear several more regulatory and financial hurdles before being built. Perhaps optimistically, Principle Power (the developer) is holding a target date of 2017 to have its initial five turbines operational. These will be huge, 6MW, 600-foot turbines, similar in design to a model that’s already being tested in the water in Portugal. 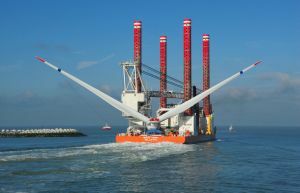 The project is expected to cost $200 million, which would build around 100MW of capacity on land, as compared to the 30MW this pilot project will construct; Principle Power expects that steadier, stronger offshore winds will let these turbines operate at a higher capacity factor than onshore projects, partially making up that difference. Of course, experimental pilot projects are always far more expensive than later, full-scale build-outs; still, the financial feasibility of projects like this is a work in progress. 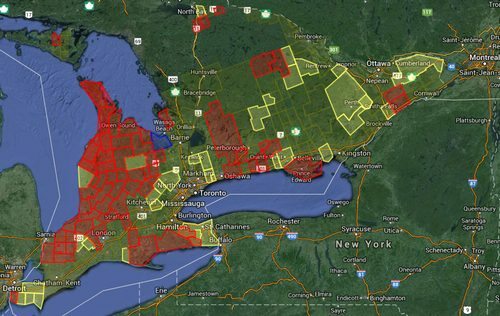 In the wake of several years of heated wind farm resistance in Ontario, premier Kathleen Wynne said several months ago that the province would aim to site new projects in “willing communities.” In response, 71 southern Ontario communities have formally passed resolutions declaring their towns “unwilling” (red on map; interactive version here) and another 33 have expressed some measure of concern about local siting (yellow); together, this represents a bit over half of the 197 municipalities in the southern part of Ontario where wind development has been concentrated. A coalition of these towns formed at an August meeting of the Association of Municipalities Ontario. 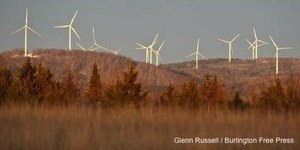 It remains to be seen whether provincial officials will alter siting decision based on these declarations; provisions of an altered wind strategy appear to focus on “consultations” with localities (rather than requiring local approval of projects) and incentives to encourage local support for wind development. 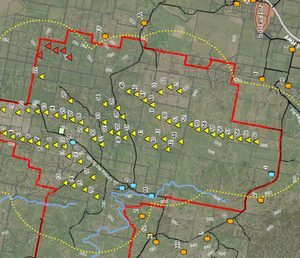 UPDATE, 12/2/13: The Dufferin County Council has voted to declare the county an unwilling host, become the first county to do so; several town within the county are among the over 90 Ontario towns that have made similar declarations. Earlier, Marriott had noted that while the Premier has spoken about wanting to locate projects in willing host communities, no concrete plans have been proposed to give municipalities substantial input in the siting process, and wind turbine projects have continued to get provincial approval without consideration of municipal concerns. 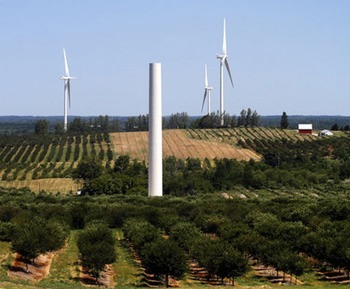 UPDATE, 10/10/13: This week, a wind project received provincial approval in Kincardine, one of the towns that has declared itself an unwilling host. 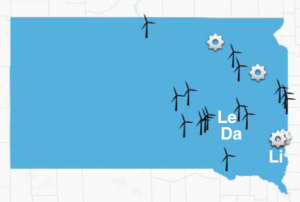 One local council member noted with dismay that the province had embarked on an expensive change of siting for two gas-fired electric plants because the initial communities had not welcomed them, while similar concerns about wind farms are ignored. Well, maybe not, if the summer and fall rush to declare themselves “unwilling hosts” is any indication; it appears that the Ontario wind wars will be continuing. Over the past several months, I’ve been watching with interest an apparently growing concern in farm country about wind farm setbacks. 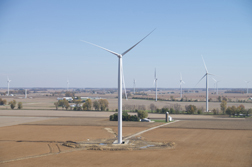 Several counties in Indiana and Illinois have been moving toward somewhat larger setback requirements after living with a first round of large-scale wind development.